It all began in 1973 with a little 50-hp economy car. 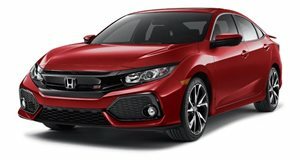 Back in 1973, Honda launched a little hatchback called the Civic, and the Japanese automaker has never been, for all the right reasons, the same since. It’s hard to believe that little hatchback has grown in size as much as it has. Not only that, it’s become a truly great performance machine, given the latest Civic Type R’s Nurburgring-smashing record. 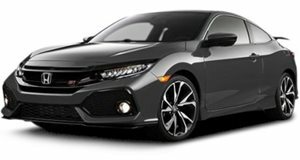 Donut Media has put together a short but interesting visual timeline of the Civic hatchback, beginning with its humble origins. It was originally nothing more than an economy car with a 1.2-liter four-cylinder engine and a mere 50 hp. Today’s Type R has a turbocharged 2.0-liter four-cylinder with an impressive 305 hp. The ’73 Civic weighed only around 1,500 lbs, while the Type R has ballooned to 3,117 lbs. The differences between then and now could probably go on for a while, but you get the idea loud and clear. Funny thing is that it wasn’t until 1985, when the Civic CRX launched, that it suddenly became known as a performance car. Obviously this was in response to the Volkswagen Golf GTI. Honda rightly recognized the emergence of the hot hatch segment, and things have never been the same since.